Liz Castro has tipped me to this great new way to download and convert webpages. It's called GrabMyBooks. It's a Firefox plug-in that functions kinda like dotEpub, only it's better. 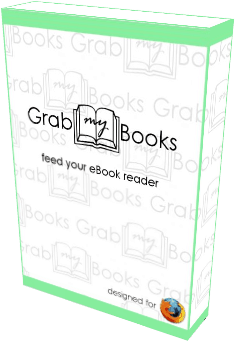 GrabMyBooks will not only get the content from a webpage, it will also let you combine several pages into one. And it gets better. You can also pause the conversion midstream and edit the content to fix the more annoying formatting errors and generally clean up the files. it will also accept RSS feeds as a source. Now, dotEpub does have one advantage in that it is not tied to Firefox; GrabMyBooks is currently only available as a Firefox plug-in, which is fine by me. P.S. Mike Cane ranted and raved about it, which should tell you how good it is.